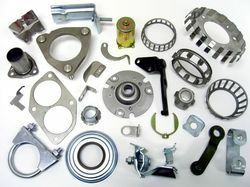 Our range of products include precision sheet metal parts and precision metal parts. 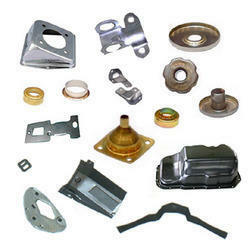 We have established our superiority in the market as leading manufacturers of Precision Sheet Metal Parts. These sheet are manufactured at our state-of-the-art infrastructure facility using quality-approved raw materials. These are highly acclaimed for their damage-resistance, sturdiness and durability. These sheet are stringently tested by experienced quality auditors and are supplied to clients within the specified time-frame. Different specifications of these sheet are made available to clients based on their request. In our attempt to satisfy the expectations of clients, we are involved in the manufacture of a vast assortment of products that cater to the Precision Metal Parts. This industry uses our products because of the various characteristic features displayed by them such as corrosion-resistance, abrasion-resistance and durability. Our products help extend the service life of the various automobiles and allied instruments. These are economically priced to suit the client’s budget as well.